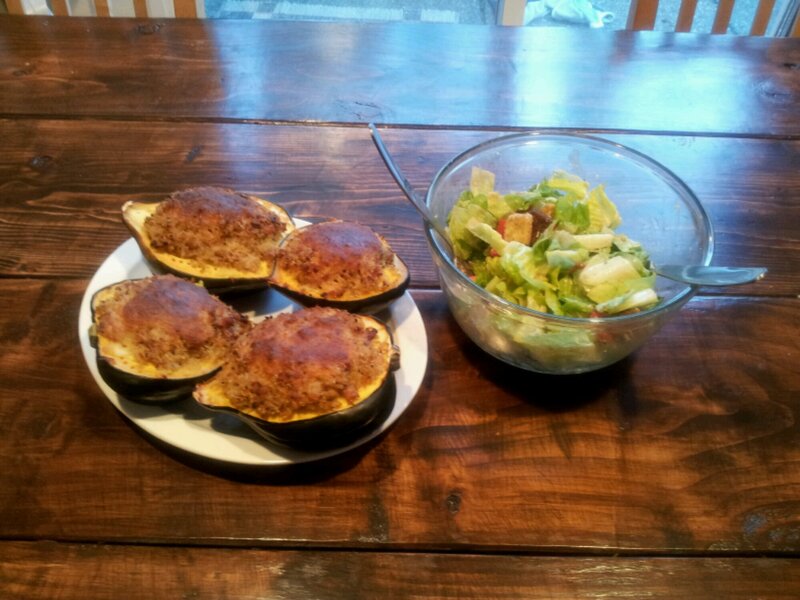 For dinner tonight I made Stuffed Squash with Quinoa and Sausage. 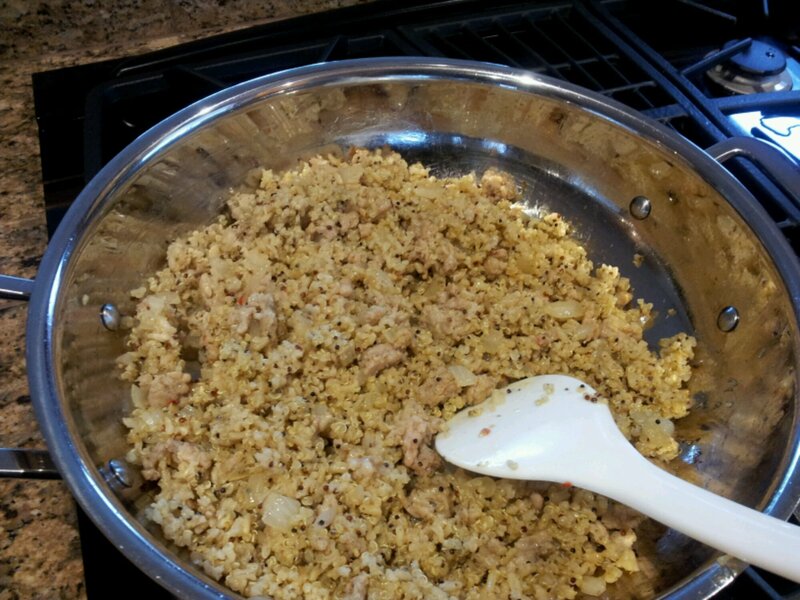 To save time and add a nice flavor, I used a quick cooking Olive Oil and Rosemary Quinoa and Brown Rice blend from Near East foods (here) as the base for the stuffing. 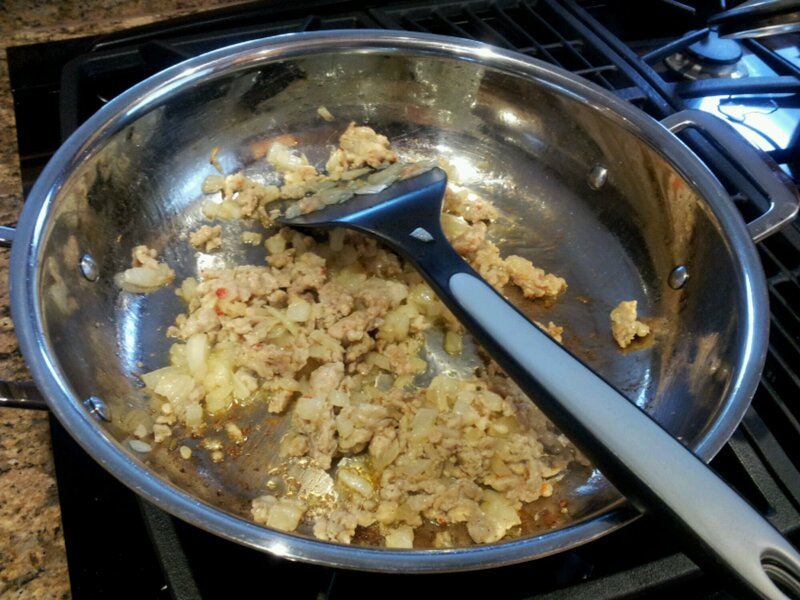 To save time, the filling can be prepared and squashes can stuffed ahead of time. 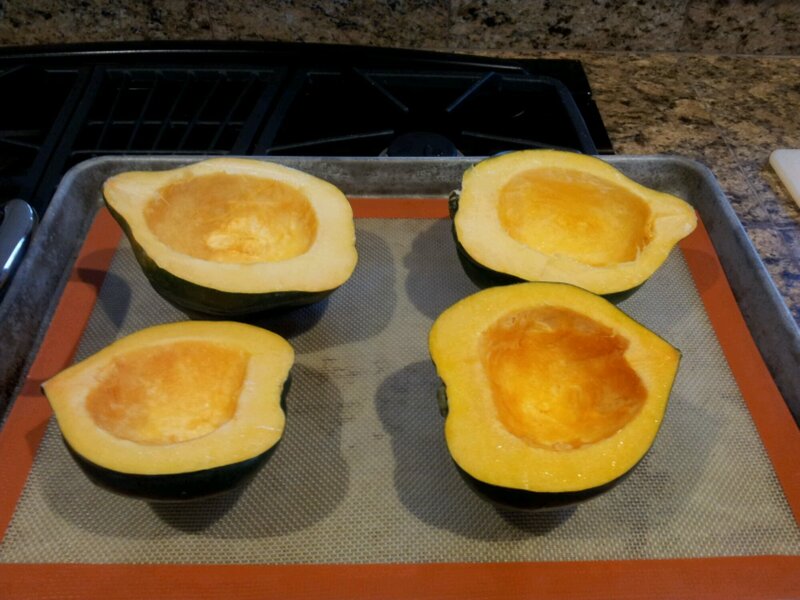 To save even more baking time, the squash halves can be microwaved until soft prior to being stuffed. If this is done, the stuffed squashes will only require 20 minutes of baking time. 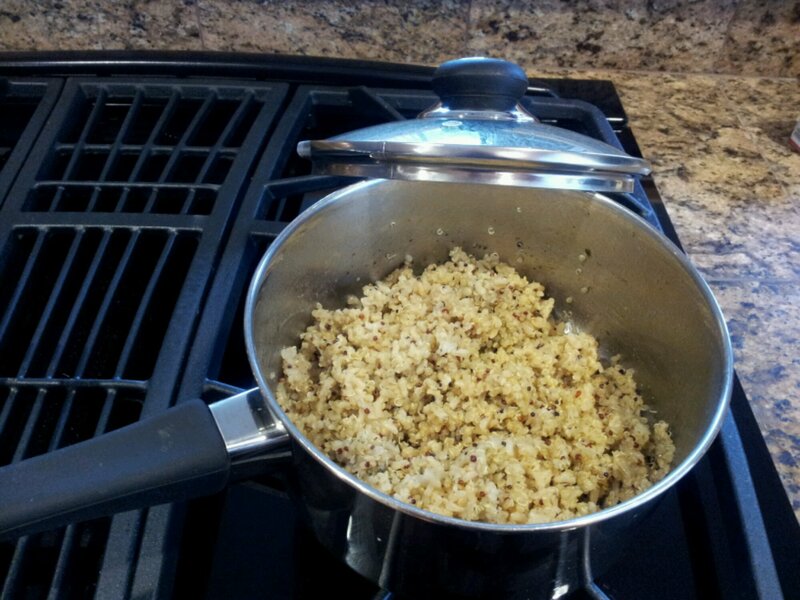 Prepare the Quinoa blend according to the package instructions, adding in 1/2 teaspoon rubbed sage before cooking. Set aside and allow to cool. Preheat the oven to 350 degrees. 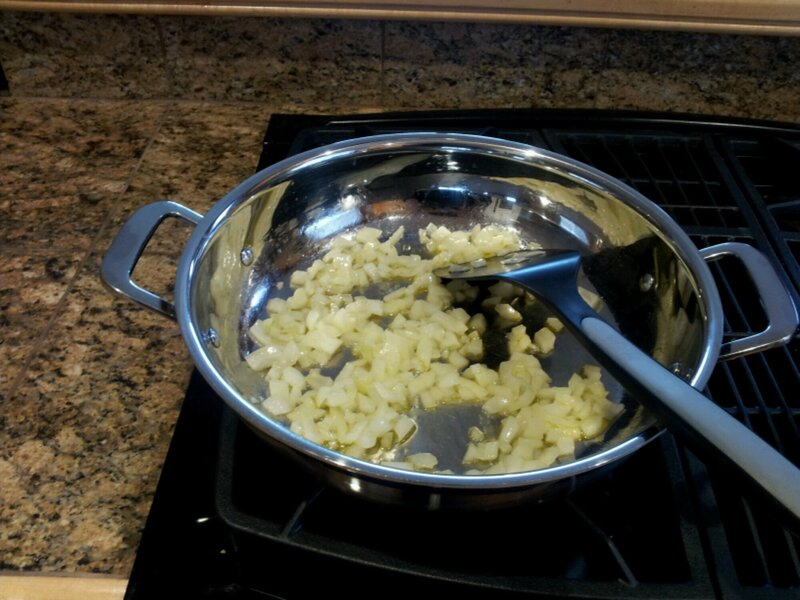 In a large skillet, sweat the onion in the olive oil over low heat until translucent. Turn up the heat to medium and add the sausage. Brown the sausage, being sure to break up the sausage into small chunks. Turn off the heat and add the cooled quinoa blend and 1/2 cup mozzarella cheese. Cut acorn squashes in half from stem to flower end (the pointy part). Scoop out the seeds. Cut a small slice of peel off each squash half so that they will lie flat on a baking sheet. 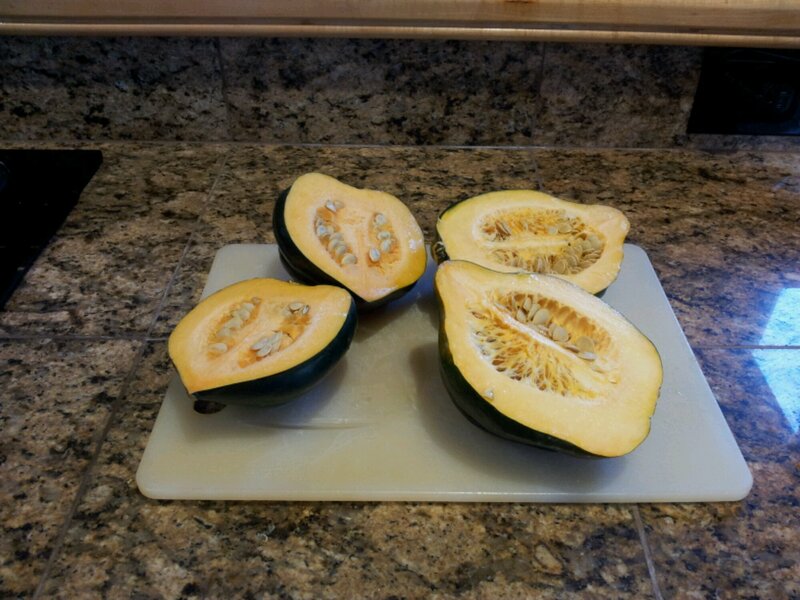 If the flesh is more than 1/2″ thick, microwave the squash halves for 2 – 3 minutes or until flesh just starts to soften. Place the squash halves on a baking sheet. 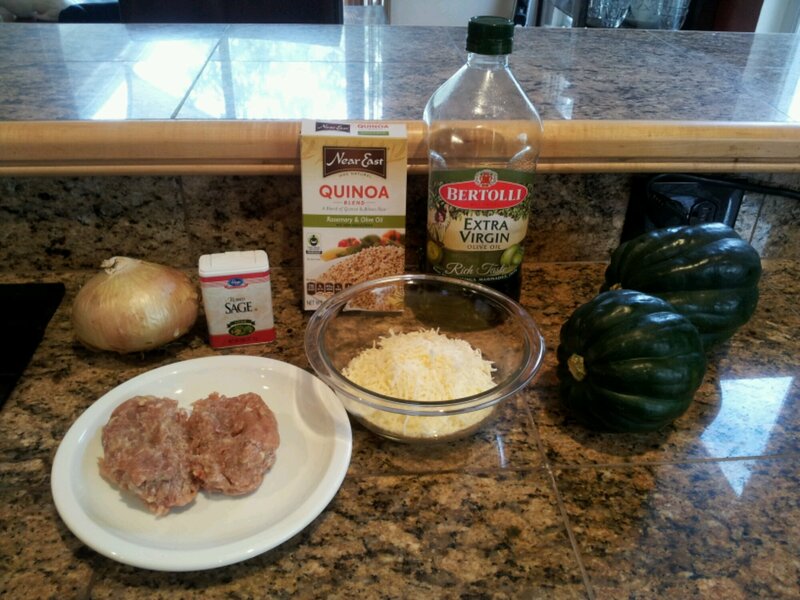 Stuff the squashes with the quinoa/sausage mixture. 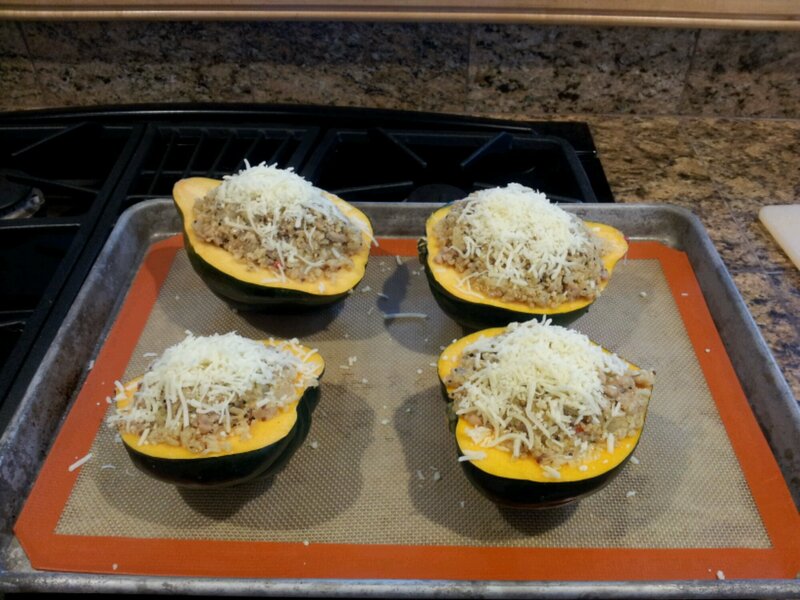 Use all the mixture, mounding the stuffing on top of the filled squash halves. Sprinkle the remaining cheese over the top. Bake about 30 – 40 minutes or until squash is completely soft when poked with a fork in the stem end. If cheese browns before the squash is done, cover the tops with tented foil (make sure the foil doesn’t touch the cheese). Makes 4. Eat and Run Mom Runs Again! Betsy C. Stone on Long Time No See! You Signed Up For What?